Hello foodies! How are you in this Mansoon? Hope you all are enjoying rain with your family! We all prefer spicy dishes in this season; isn’t it? Try this weekend a special Bengali delicacy! I think, you will enjoy it! 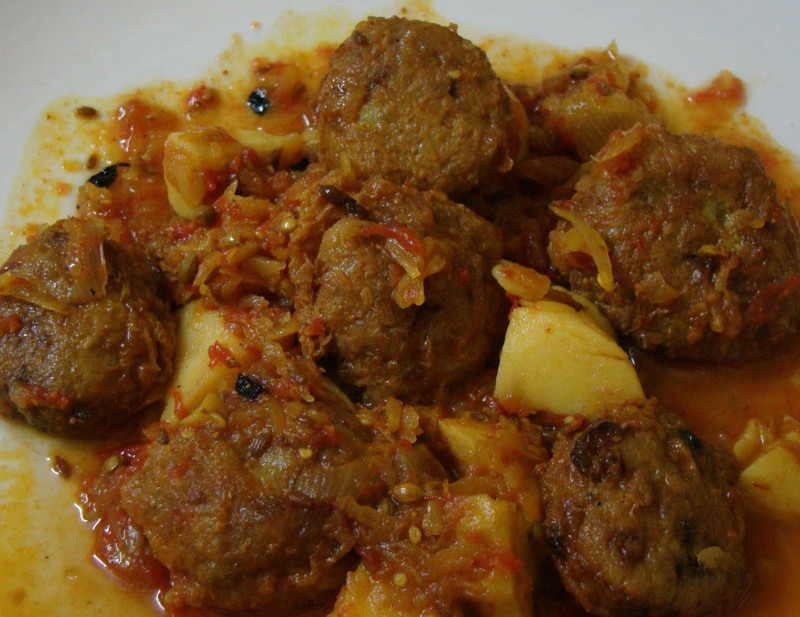 ‘Kanchkolar Kofta Curry’ is a traditional Bengali recipe. Kanchkola or Green Banana is cooked almost in every Bengali household. We use it to make Fish curry, Sukto and so many delicious dishes! Kofta Curry is one of them. This goes well with hot rotis, chapattis or plain hot rice. Boil the potato and green bananas and great them finely. Mix them together. Heat the ghee in a pan and add the onion paste, ginger paste and Coriander Powder. Mix well and cook for 1min. 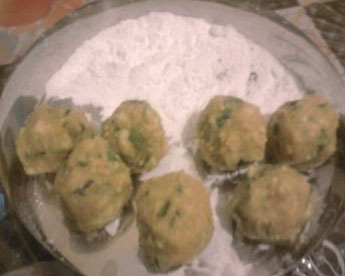 Now, add the green chilies, sugar and salt and mix well. Add the mixture of green bananas and potato. Stir well. Take it off the flame when it becomes dry. Now, make balls from this mixture like lemon and deep fry in oil. Roll the Koftas in cornflower before putting them in oil. Your Kofta is ready now. Cut the potatoes in square pieces. Heat the oil in a heavy bottom pan and fry the potatoes with salt and a pinch of turmeric powder till it become brownish. In the same oil, pour in the bay leaves and cumin seeds and fry till it smells. Add the onion paste, ginger paste, cumin powder and Coriander Powder, curd, turmeric powder, sugar and salt and mix well. Cook for 2-3min. and doesn’t stop stirring. When it become dry, add the fried potatoes and 1/2cup of water. Cook more 2min and continue stirring. Add sufficient water (as the Koftas absolve much water). Cover and let it cook for 10-15 minutes on medium flame. Add the Koftas when the potato well cooked and let it cook for 5 minutes on low flame. Take it off the flame when the Koftas become soft and absolve water. Drizzle spoonful ghee and garam mashala powder just before serving. Serve hot with Rice or plain Roti or Paratha. ** If you want to get a Bengali flavor, add boiled Rohu or Sheephead (Bhetki) fish with the mixture of potato and green bananas; rest of the recipe remain same.